Home / Life & Culture / What Is the Meaning Behind Memorial Day? Every year, near the end of May, Americans get one of those great three-day weekends. Marked by trips to the beach, picnics in the park, friends and family get-togethers, Memorial Day launches the beginning of summer. With school letting out and summer vacations upon us, this is the weekend that officially ends the winter blues, and the fun-in-the-sun begins. But many of us may not know, or perhaps we just don’t take time to ponder, why there even is this holiday entitled Memorial Day. We may not fully understand the origin of this day or the gravity of its inception. This day was created to honor those who died in military service; those who lost their lives while standing for what they believe, valiantly defending others. On May 5, 1865, three years after the Civil War ended, Memorial Day was recognized as a national holiday to be observed on May 30. According to the U.S. Department of Veterans Affairs, “It is believed that date was chosen because flowers would be in bloom all over the country.”1 However, placing flowers on the graves of those who died in war—the act that started this American holiday—is one that can be traced as far back as early Greece. Soldiers have been rightfully honored throughout history. This day was created to honor those who died in military service; those who lost their lives while standing for what they believe, valiantly defending others. In the South, too, the women took the lead. The Ladies Memorial Association covered the soldiers’ graves with the same care given, with hand-picked bouquets and gently assembled wreaths. The Daughters of the Confederacy was formed to continue honoring those they loved, those who died for what they believed in.6 Their heartache was no less painful than the wives, mothers, and daughters of the North. Originally named “Decoration Day,” this observance of those who truly gave all so that others could be safe, protected, and free, has been a day of honor—an opportunity to show that we recognize the cost. World War I and II, Korea, Vietnam, and the current wars in the Middle East have left families with men and women missing from their three-day celebrations, absent and never to participate again. They have fought for the rights and freedom of others, most of whom they never met. They have gained the liberty of fellow soldiers from prison camps, the remaining family members imprisoned in concentration camps, and broken the backs of dictators whose only acts were to further beat down the downtrodden. They have stood against evil, and often in doing so lost their lives. Memorial Day is not just a day to enjoy our family, our friends, or to take a break from our everyday life. This day is to remember. This day is to honor. 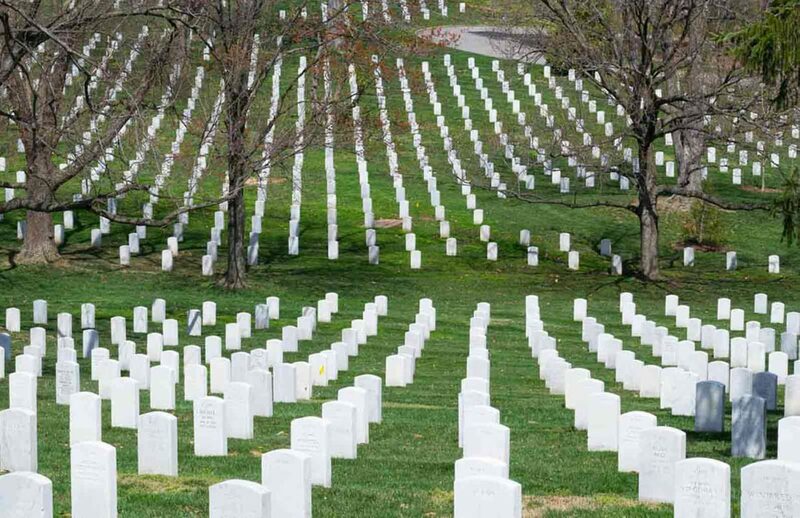 This day is to decorate graves in sober thankfulness for those who were willing to stand for others, no matter the cost—the epitome of grit and grace.